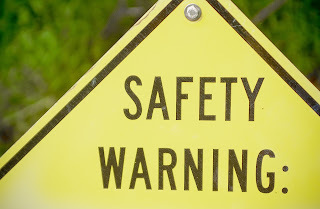 It’s easy enough to overlook health and safety issues, until something goes wrong and you’re forced to confront your business’s health and safety shortcomings. It’s always better to prevent those problems rather than have them cause your business pain later on. The sooner you get to work making changes and implementing the right health and safety ideas, the sooner you’ll make everyone safer. Here’s how to get started with all of this. Risk assessments should be used a lot in the day to day running of your business. When you’re prepared for what’s coming your way, you can mitigate the risks and ensure that you don’t run into the problems that are completely avoidable. You can’t afford to experience injuries and accidents just because you didn't think clearly about the risks beforehand. The policies you have in place need to be written down and available to everyone who works for your business. Otherwise, you can’t really expect people to follow those policies in the way you obviously want you to. Accessibility is really important when it comes to things like this. If you’re yet to write your health and safety policies, you should do this collaborative with your team. Fire safety is one of the most important elements of health and safety, and it’s something that you can’t afford to get wrong. Even small fires can cause huge damage, so it’s not just about preventing them but also about stopping them from spreading. FR Outlet can help you with fire resistant clothing for your employees/ And there should be clear guidance and procedures in place for dealing with small fires on the spot. Training should always be a big part of how you look after health and safety issues in your business. Whenever a new piece of machinery or equipment is implemented, your employees will need to be trained to use it properly and safely. Training should never end completely because there are always extra safety things to learn about and discover. You can hire external companies to look after this for you if you want to. Finally, you should think about adding to your team of people by finding a health and safety officer whose job it will be to ensure the workplace is always safe and best practices are followed. Sure, it means making a rather large investment in your company, but don’t let that put you off because it could really end up making a difference to how your business is run. Health and safety is not something that you can afford to cut corners on. If you take the right steps and set your business up in the right way, looking after those health and safety concerns will be much easier than you think. Just use the advice mentioned here to guide you as you start on this journey.